An Israeli minister is in Oman to attend an international transport conference and to pitch a railway project that would link the Gulf to the Mediterranean via Israel. 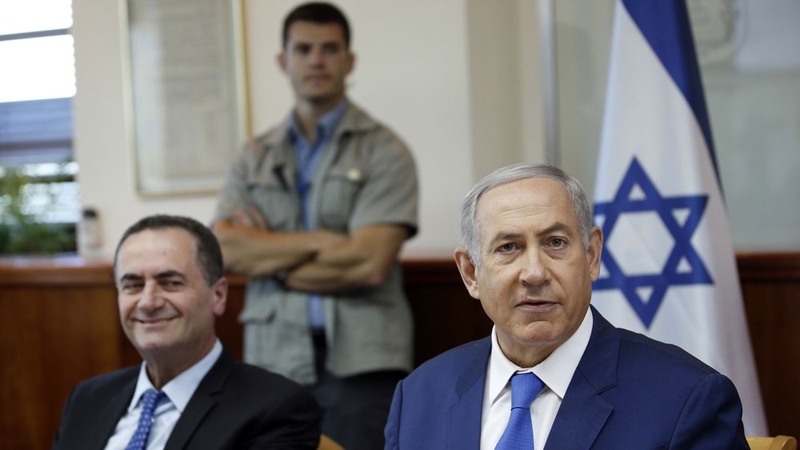 Transport and Intelligence Minister Yisrael Katz, who arrived in Muscat on Sunday, is expected to make his pitch at the International Road Transport Union, AFP news agency reported. The Tracks for Regional Peace initiative calls for a rail link connecting Saudi Arabia with the Mediterranean Sea, according to local media. The line would extend from Haifa, Israel’s largest port, passing through Jordan before connecting with existing railways in the Gulf. The trip comes on the heels of a surprise visit by Israeli Prime Minister Benjamin Netanyahu to Muscat late last month where he met Oman’s Sultan Qaboos bin Said – the first such visit in more than 20 years by an Israeli prime minister. The trip was a coup for Netanyahu, who wants to bolster ties with the Arab world in the face of the perceived expansion of Iranian influence across the region. Separately, Israeli Sports and Culture Minister Miri Regev attended a Judo tournament in the United Arab Emirates, where one of the country’s athletes won gold. Regev’s emotional appearance at the Judo Grand Competition’s award ceremony in Abu Dhabi was unprecedented and sparked a backlash on Arab social media, given her political leanings. She is an outspoken nationalist popular with Israeli hardliners. While Israel has full diplomatic relations with only two Arab states, namely Egypt and Jordan, analysts say the country is trying to ride on a wave of anti-Iran sentiment in the region to boost its popularity and normalise ties with its historic enemies. Netanyahu and members of US President Donald Trump‘s administration argue that a normalisation of Arab-Israeli ties is conducive to peace with the Palestinians. The Trump administration is pushing to bridge relations between Israel and Saudi Arabia as it seeks an Israeli-Palestinian peace settlement. Israel’s occupation of Palestinian territory, however, remains a major obstacle to official recognition by other Arab countries.